Hormones play a vital role in causing acne, especially when you reach to 30’s. Have you ever wondered that when your adult stage begins, the changes in hormones take place? Sometimes the acne is due to the imbalance of hormones. 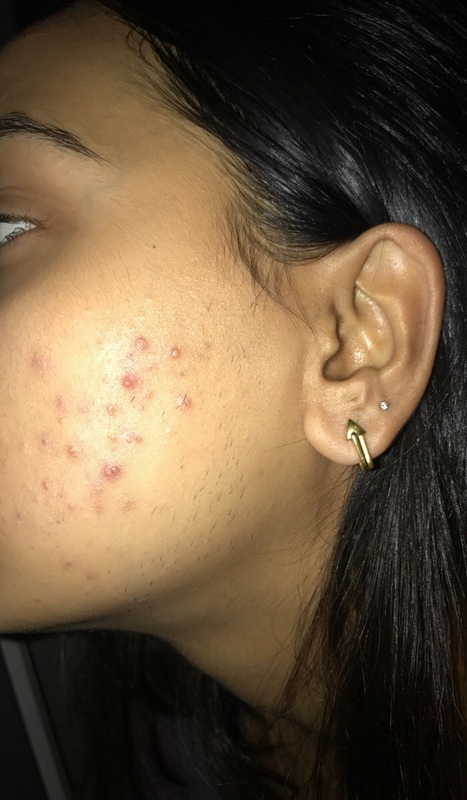 The reason of appearing acne is an excess of androgens or male hormones, it produces both in males and females by triggering the excess oil production. The oil clogs up the pores thus cause acne. Lowering the androgen levels in the body can be a better solution to reduce the acne forever. According to the doctors, birth control pills or anti-androgen drugs might be helpful to get rid of hormonal acne but most of us never want to mess up with other hormones that are in the process. 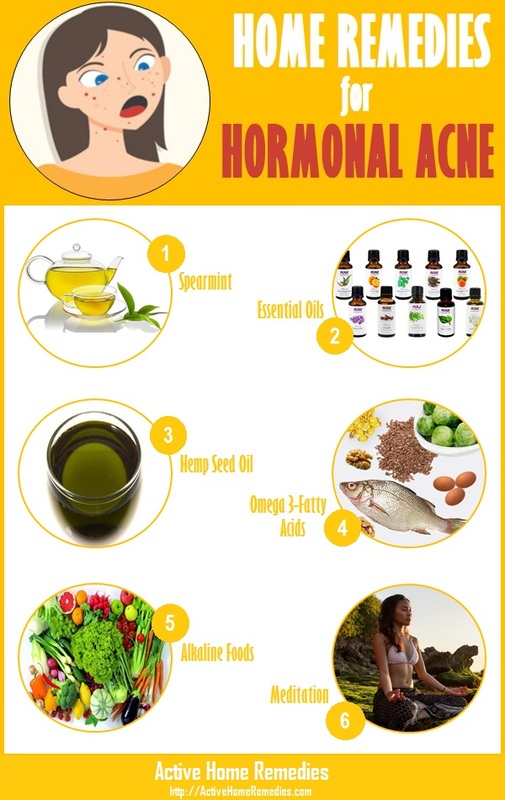 That’s why we are here to suggest you some natural remedies through which you can reduce the hormonal acne. Spearmint is worked to possess anti-androgen activity and it’s a refreshing herb. The study shows that once a woman drinks at least 2 cups of spearmint tea, her testosterone will be dropping significantly. Not only this, but her hirsutism symptoms will be less too. According to another study, it has been showed that 12 women with PCOS and 9 with hirsutism were given a cup of spearmint tea for only 5 days, after that they notice the decreasing amounts of bioavailable testosterone. DIY Hormonal Acne Serum: With the help of a small funnel, pour 2 tbsp of hemp seed oil and 1 tbsp of argan oil into a 2 oz of amber glass dropper bottle. Again add 3 drops of tea tree and geranium essential oils along with 3 drops of clary sage essential oil. Cap the bottle tightly and roll in between your palms in a gentle manner in order to combine all the ingredients together. Now use 4 drops of moisturizer to your face after cleansing it two times regularly. It is edible oil taken from hemp seeds. It is rich in linoleic acid and very nutrient-dense which is known to be good for oily or acne prone skin types. Hemp seed oil can be helpful to get rid of acne from the inside out and helps in balancing the hormones because it contains GLA (Gamma Linoleic Acid). According to the veria.com, GLA is the precursor for the production of the protective and calming prostaglandin PGE1 that is helpful to regulate the hormonal balance and also cares the healthy menstrual cycle. Omega 3-fatty acids are found to lower the androgen levels. They help in balancing the excess production of testosterones that helps in fighting the hormonal acne. Omega 3’s fights against the acne inflammation and soothes your skin redness. Omega 3-fatty acids is found in flaxseeds, cod liver oil, chia seeds, fatty fish like salmon, anchovies, sea food, mackerel, spinach and others. You can also use seven seas cod liver oil supplements that would surely help. In our daily routine, we never realize that how the acidity attacks our body because we take such foods that are very much acidic like sugar, alcohol, coffee, red meats, and processed grains. So after eating these foods, so to neutralize this acidity, our body needs foods like fresh fruits and vegetables to reduce cortisol level, stress hormone which is the cause of increased levels in people with hormonal acne. Stress is said to be a major cause of hormonal acne. Those people who have hormonal acne, they have higher levels of cortisol. Now it’s time to take meditation in order to lowering the stress. Every time whenever you are free, sit down or lay on a mat in a peaceful area which is free from noise like grassy backyard. Just close your eyes and take a deep breath and concentrate on releasing negative energy then think for those you love most. This is a simplest meditation that is done to fill your body with positive thoughts and feelings and it is such an amazing way to lowering the stress extremely. It is readily helpful to balance the cortisol level that is higher in numbers thus help to reduce the hormonal acne.